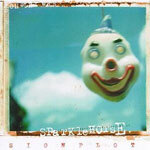 Sparklehorse Biography, Discography, Music News on 100 XR - The Net's #1 Rock Station!!! This Indie Alternative-Rock band is essentially a vehicle for singer+guitarist & songwriter Mark Linkous, a tall dark man who first came to make music under the name Sparklehorse when Cracker's David Lowery left his eight-track recorder at Linkous' Bremo Bluff, Virginia USA, home while he went on tour. 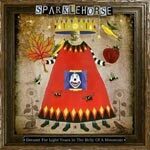 "Vivadixiesubmarinetransmissionplot", the Sparklehorse's debut full-length album, was issued on Capitol Records in August 1995, the record yielded a well-received single, "Someday I Will Treat You Good", which peaked at #35 on The Modern Rock chart. Tragically in early 1996, after a London gig opening for Radiohead, Linkous took a few too many Valiums and collapsed in his hotel bathroom, trapping his legs beneath his body; he was found twelve hours later, by which time he had suffered a heart attack and caused bad damage to his leg muscles, despite fears that he would never recover, Linkous has since made steady progress, performing from a wheelchair with his band. 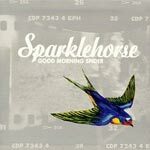 After a few years break from recording, Sparklehorse returned with its sophomore LP, "Good Morning Spider"; the album was released in February 1999 to good reviews, but it also failed to dent the charts and didn't produce any marketable singles. 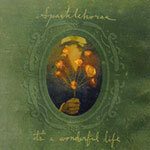 The next album, "It's A Wonderful Life", was once again primarily the creation of Mark Linkous, who wrote, sang, played guitar, samplers and drum machines; this time out, longtime drummer Scott Minor contributed to the album as did The Cardigans' Nina Persson and PJ Harvey; the disc eventually reached #34 on the Billboard Top Heatseekers chart upon its July 2001 release. 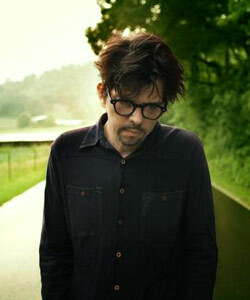 Sparklehorse's latest CD, "Dreamt For Light Years In The Belly Of A Mountain", was recorded alone by Mark Linkous in his Static King Studios in North Carolina, guests on the album include Danger Mouse and drummer Steven Drozd from The Flaming Lips; the 12-track set, which arrived in stores in September 2006, features the single "Ghost In The Sky". On March 6, 2010, the troubled and talented musician Mark Linkous committed suicide; his manager, Shelby Meade, explained that he shot himself in the heart in an alley near a friend's home in Knoxville. He was 47.